New campaign seeking $150,000 in funding. Snowcastle Games has relaunched the Kickstarter for RPG Festival of Magic after a tactical retreat in December. The game, now titled Earthlock: Festival of Magic, has lowered its funding goal to $150,000, and its first volume is planned for release across PlayStation 4, Xbox One, Wii U, PC, Mac, and Linux. Early concept demos are also available for Windows, Mac, and Linux. 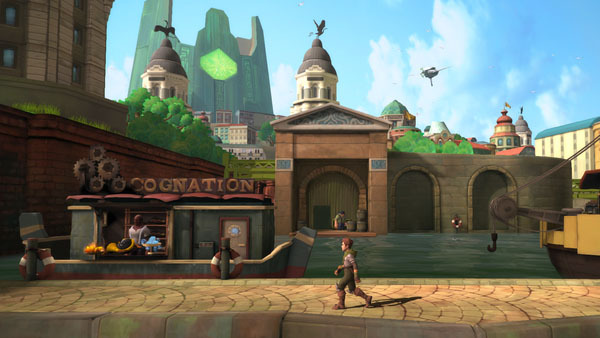 One of the unique aspects of Earthlock is Plumpet Island, which functions as your very own home village. Here you can perform key activities like harvesting consumables and managing your character progression. Players will be able to check in on their harvest using portals found scattered across the world of Umbra. Combat, harvesting and character progression is tightly linked in Earthlock. When you are on the island tending to your village, what comes out of the earth and from your barnacles is literally the magical ammunition and consumables you need in combat. Read up more on the game at its Kickstarter page. Watch videos demonstrating its combat system and crafting features below.